Design Streak alumni Gabe Gonzalez, Alana Santiago, Parker Sheley, Emily Klay, and Jestin Sheely. Mastering the nuances of working with a client takes more than instinct. Whether understanding how to match a target audience to a desired goal, or pitching an idea that will simultaneously engage and serve, dealing with clientele is a skill developed over time. Illinois State University’s Design Streak Studio provides undergraduate graphic design students the chance to work in a professional environment, from development meetings and creative teamwork to pitching to real-world clients. 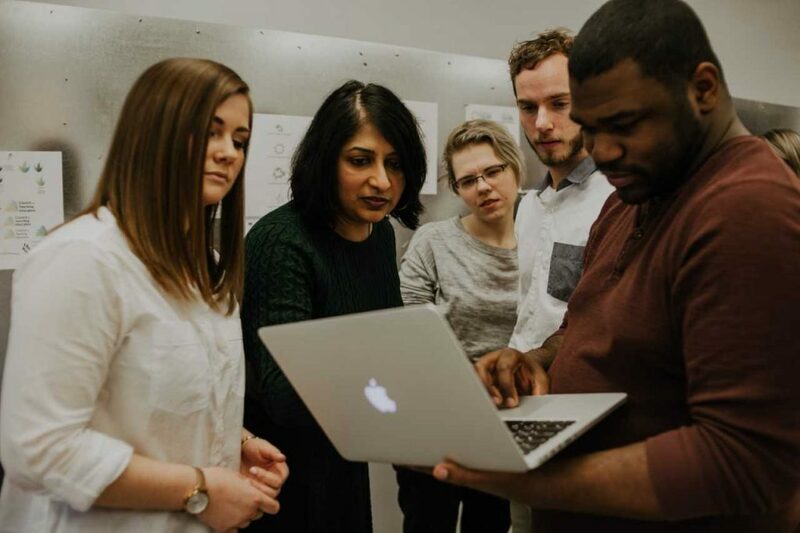 Design Streak Director Archana Shekara, second from left, engages students Kayla Berg (left), Kataryna McDonald, Derek Dressler, and Cedric Wilder as they prepare for their client pitch. Celebrating nearly four decades at Illinois State, the Design Streak class began with students designing internal projects for the College of Fine Arts. 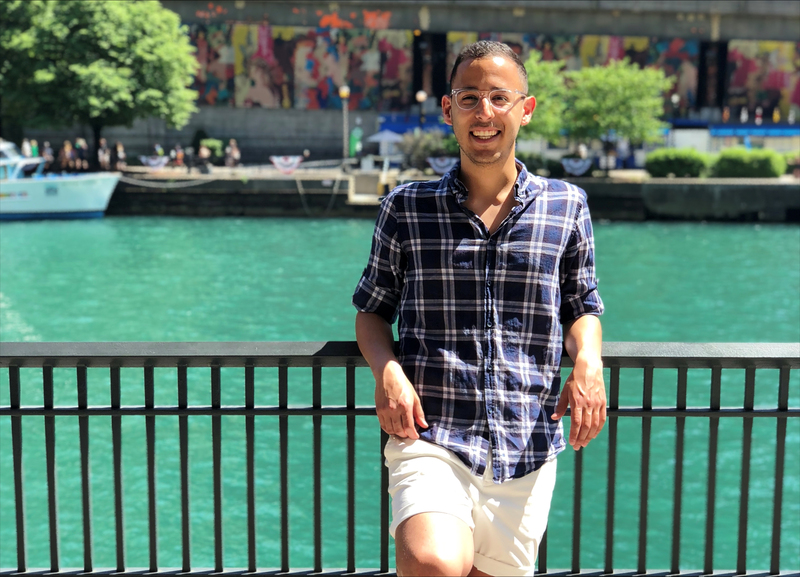 Under Shekara’s tutelage, the course has grown into serving clients across Illinois as well as Missouri and Ohio. 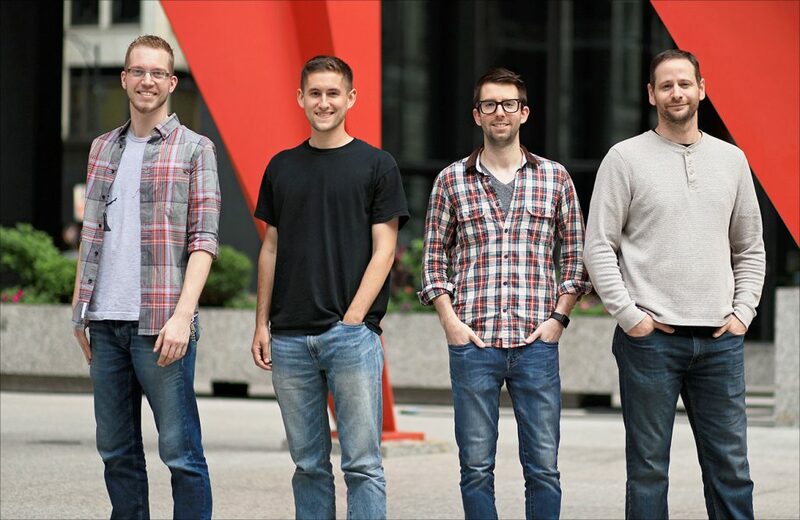 Luke Galambos (far right) with fellow Illinois State graphic design and Design Streak alumni who work for his company, Galambos + Associates in Chicago. Pictured left to right are Brooks Bankord, Andrew Bybee, and Ryan Tinsley. Design is a philosophy of life in which designers have to empathize and respect the diverse communities of people they serve. 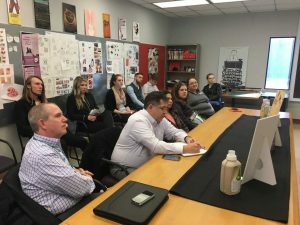 With a short turn-around time of two and half weeks, students in the Design Streak course create the projects that can range from a logo to a full brand redesign. “They learn to conceptualize as they collaborate,” said Shekara of the small groups working together to meet client needs. Design Streak client, the YWCA, listens to a professional pitch from students. Students in Design Streak also take on one pro-bono project from a not-for-profit client each semester. In the past, Design Streak has worked with such groups as YWCA McLean County and the Autism McLean. Students have also created exhibits relating to their impressions of current political, social and cultural issues in the United States.